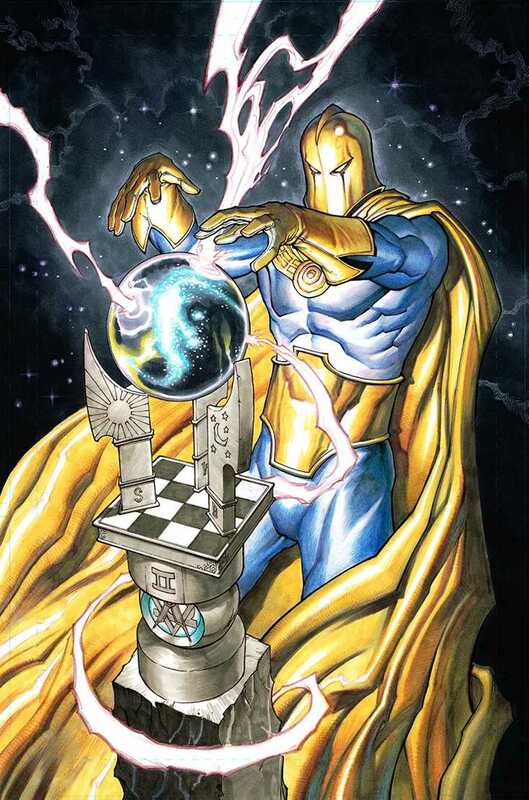 As with many of my favourite DC characters, I first saw Kent Nelson aka Doctor Fate on the Justice League show. The character had a pretty brilliant entry and he remained one of the best characters on the show, for as long as it lasted. What attracted me to him was all the mystique and magic that surrounded him, plus the fact that the character of Fate himself was an ancient Egyptian wizard who now resided in a helmet. The symbiosis of Kent Nelson and Nabu is one of the more interesting supernatural relationships that I’ve seen in comics and to this day, there are very, very few I’ve seen that can top it. When an aged Kent Nelson debuted on Smallville, I was extremely excited. The two-parter episode involved Stargirl and Hawkman as well, and it was a story that exposed the current generation of heroes, Clark, Ollie and the others to an older generation that had come and gone. It was an episode about legacy and heroism and is one of my favourite storylines from the show throughout its ten season run. The character’s exit was extremely saddening but it was very heroic and perfect as well. And then, last year, came writer James Robinson and artist Nicola Scott with their Earth 2 series (reviews of #0, #1-4, #5-7, #8-9, #10-12) as part of the second wave of titles from DC for its New 52 universe reboot. In a book filled to the brim with characters of colour, Khalid Ben-Hassin was one more to join the ranks but also on an equal footing with all the rest. As an associate of Hawkgirl (Shiera Saunders), he was portrayed as a character who is reluctant in the role, fearful of the power of the Helmet of Nabu and since that was one of the threads in Smallville, I took an instant liking to Khalid. In May and June this year, James and Nicola went a few steps further and delivered a subplot with Khalid and Nabu that totally wowed me. Issues #11 and #12 marked a huge step-up for the character and I totally fell in love with the character all over again. The dialogue was perfect, the art was perfect, everything was perfect. These were the issues in which both Khalid and Nabu really became heroes, the newest wonders so to speak of Earth 2. Currently the character is on a slight bit of hiatus since Tom Taylor took over the series from James, and I’m just waiting for him to return to Khalid and Nabu because they are one of the biggest draws of the series for me. 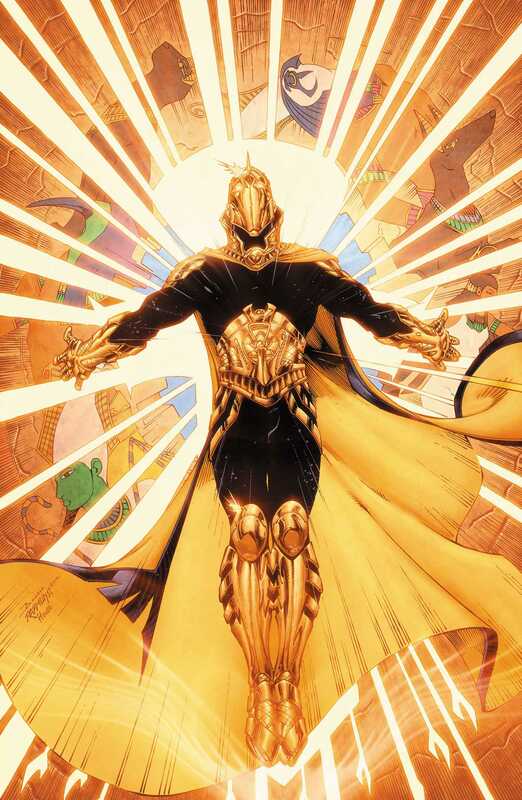 Posted on December 30, 2013, in 12 Days of Best SFF Characters of 2013, Book Lists and tagged 12 Days of Best SFF Characters of 2013, Arab-American Characters, Book Lists, Characters of Colour, Comics, DC Comics, Doctor Fate, Earth 2, Helmet of Nabu, James Robinson, Justice League, Kent Nelson, Khalid Ben-Hassin, magic, Nabu, Nicola Scott, Smallville, Sorcerers, Superheroes. Bookmark the permalink. Leave a comment.